Welcome to MOD.A's newsletter for September 2016. As we approach the end of the year we are finalizing details of our Annual General Meeting and an industry forum to hold alongside it that brings the sector up to speed with the reforms in aged care and disability. This forum, targeting managers, CEOs and Board members, will assist organisations that need to reshape their businesses plans over the next few years to meet the challenges ahead. See below for more information and to respond to our EoI so that we can book a suitable venue for both the forum and the AGM. We hope this will be another good opportunity to network and a positive finale to a busy and productive year for the industry. MOD.A staff have been in Victoria, Queensland, the ACT and regional NSW during September, and some of these activities are reported on in this newsletter. Member engagement is a priority for us and affords us the opportunity to bring providers and government officials together to discuss how programmes are impacting on the ground, and what changes can and should be considered for home modifications to operate better in the future. We will always try to make staff available to attend forums and meetings of members, as well as to keep you informed of outcomes through this newsletter and via email alerts. You can see from the range of news items in this edition that there is a lot happening and more to come over the next few months. Work on the home modification quality standard is progressing, and I am optimistic that we will have a product ready for the industry to review in 2017. As we report below we anticipate an announcement after the November COAG meeting about how the National Disability Insurance Agency (NDIA) will address quality and safeguarding across of its providers, and there are reforms taking place at the same time in aged care quality assurance. Encouraging greater competition within service systems will drive a very different type of quality compliance regime, and MOD.A is confident that the approach we are adopting will be in line these expectations and assist consumers to identify providers that are skilled and experienced. Finally, we have been advised that Joanne Pedder, Executive Officer of Hunter Home Modifications, is leaving the service after many years. Jo was also a member of the previous NSW HMMS State Council and has made significant contributions to the industry. We wish her all the best in the future. Danny Gibson has been appointed the new CEO and Andrew Mitchell has been appointed General Manager. Members will note that many of the changes address specific issues that have been bought to our attention over recent months and we trust that many of the issues that members have been experiencing have now been resolved. Should specific issues persist, however, we encourage you to provide us with case studies so that we can continue to prosecute the need for additional enhancements to assist your workflow. Case studies and feedback can be sent to us by email. The next system release is scheduled for February 2017. A comprehensive overview of changes made as part of the September System Release is available here. The department led an Ageing and Aged Care Reform 2016 stakeholder workshop on 5 September 2016 with aged and consumer carers, peaks, providers and assessors to discuss the changes that have been implement from July 2015. Discussions identified what has worked well and areas that require further improvement. The final legislative framework for the Increasing Choice in Home Care reforms is now in place. This follows the passage of the Aged Care Legislation Amendment (Increasing Consumer Choice) Act 2016 in March and the registration of the amendments to the Aged Care Principles and Determinations on 23 September 2016. The legislative amendments give effect to the home care reforms announced by the Government in the 2015-16 Budget. The changes start on 27 February 2017. The HCP remain capped, both in terms of funds for individuals and the aggregate of packages available across the country. This means that people who need Level 3 or Level 4 will continue to be granted lower packages until higher ones become available. The approved providers will continue to operate as before, mainly servicing the ongoing needs of clients and allocating the bulk of funds to these needs, making it difficult to adequately provision for one-off home modifications. This means that home modifications providers will need to increase their marketing directly to clients so that they can request HCP money to be allocated for this purpose. In the meantime, marketing to approved providers should continue for as long as they are the fund-holders. More information on the changes and a detailed overview of their impact is available from the Explanatory Statement. MOD.A was surprised and disappointed to receive notification that Archicentre Victoria had ceased to trade as of 6 September 2016 and was being voluntarily would up. Archicentre had delivered for a number of years a free home inspection service to Victorian home owners who held a Commonwealth Health Care card or a Pensioner Concession Card. The Home Renovation Service, funded by the Victorian State Government, was developed to help community members remain living safely in their own home for as long as possible. The reports generated by Archicentre usually identified that around half of all homes inspected required some level of modification to make them safer and more functional, and discussion with the Department of Health and Human Services (DHHS) in Victoria earlier this year indicated that a high percentage of recommendations in this area (over 80%) were followed up by home owners and the remediation work completed. Archicentre also played an important role in the home modifications system in Victoria, generating the design specs for many jobs which were carried out. At the recent Architecture & Access Forum in Melbourne (see also item below) occupational therapists expressed their concern about how the system would now work without this resource available. MOD.A is aware of work that has been done by the Statewide Equipment Program (SWEP) in Victoria to build a new model of prescribing home modifications, which addresses some of these concerns. Details about the new model can be found here. A recent article in Australian Ageing Agenda (9 September 2016 electronic newsletter) identified a growing trend among Australia's ageing population to maintain an active and engaged lifestyle in retirement and in so doing are redefining what it means to 'get old' or 'be old'. The article argues that the current aged cohort is increasingly resisting the 'support' model of ageing and demanding empowerment and autonomy. One of the most striking examples of this is the growing aversion of this cohort to what it regards as the 'institutionalised environments' of retirement homes and/or villages. The article indicates a pressing need for significant change in the current models of delivering residential aged care, and the marketing required to make the retirement village an attractive option. While there is an obvious implication for these sectors to adapt to the changing expectations of ageing consumers, there is also an inherent business opportunity for home modification service providers in targeting this age group and selling the benefits of modification as a way to delay entry to residential care and remain healthy and independent at home for longer. You can read the full article here. Competitive environment provides opportunities for quality/point of difference providers. The same edition of Australian Ageing Agenda highlighted the importance of quality and tailored services as important 'points of difference' to service providers securing and maintaining clients/customers as the disability and aged care sectors move toward a more competitive market environment. Dr Stephen Judd, CEO of HammondCare, told the Ageing and Community Services Australia (ACSA) Summit on 7 September 2016 that responsiveness to consumer preferences is at the heart of quality care and that aged care providers that offered differentiated services tailored to the unique needs and preferences of their clients would be more successful in the reformed market. While there would always be a place for "budget providers" that provide cost-competitive options for those seeking to pay as little as possible for services, the market is high risk and more prone to competition. The home modification sector faces similar threats of disruption and providers should be thinking seriously about how they can best position themselves for a future market where they may be competing with a number of local low cost providers. MOD.A has long maintained that home modification services have the knowledge and expertise to best service the unique individual needs of their clients and we encourage services to actively promote these 'points of difference' through their marketing and promotional materials. Our commitment to develop a quality assurance framework is an attempt to identify and validate the quality of work provided and will offer providers the evidence they need to be able to further differentiate themselves from future competitors in the market place. MOD.A CEO Michael Bleasdale has just submitted an article for publication in the National LGBTI Health Alliance's eHealth Update - Ageing and Aged Care Special Edition. This is published twice a year, and the latest edition, with the article about home modifications will be circulated in October. It is sent to all members of the National LGBTI Health Alliance plus anyone who has subscribed to it through their website, including LGBTI individuals and organisations, ageing and aged care providers and related services with an interest in aged care and the needs of LGBTI elders. The OT Association has just published an article in the September 2016 edition of Connections updating its members on how home modifications are currently operating in aged care. The article highlights the changes brought in by MAC and CHSP in the past year, as well as arrangements for people in receipt of Home Care Packages, and the experiences of OTs with the Regional Assessment Services. The article calls for OTs to provide feedback to the OT Association about their experience of how the system works, and MOD.A understands that there will be a more widespread survey implemented shortly to obtain more detailed feedback from the profession, which in turn will inform OT Australia's position on how the system is performing now and how it could be improved in the future. The August 2016 edition of Community Care Review magazine, a publication of Australian Ageing Agenda, features two articles about the benefits of home modifications, plus one editorial about the barriers facing private renters who require home modifications. The articles stress the importance of home modifications being customized to an individual's needs, and also how this upfront intervention is a relatively small change which makes a big impact. The fit between home modifications and the restorative principles of wellness and reablement is pointed out, together with the positive outcomes that many modifications provide to those who undertake them. Quality in the process and the workforce are highlighted as critical to the delivery of a holistic, client-centred service. It is encouraging to MOD.A that people in the sector are undertaking research and publishing results and that relevant publications are making space for articles that promote home modifications as a positive intervention. 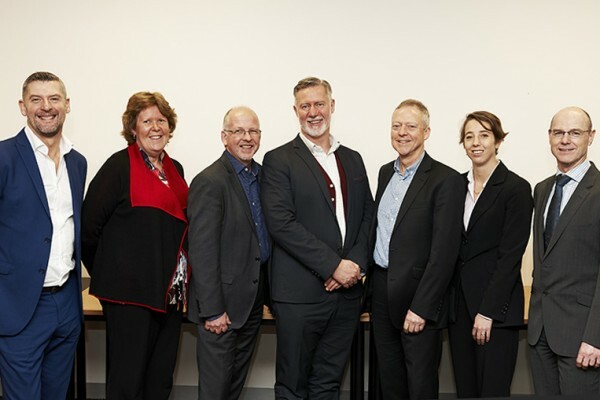 MOD.A CEO Michael Bleasdale presented as part of a panel at the recent Home Modification Forum OTs and Project Managers working together in an insurance model held by Architecture and Access in Parkville, Melbourne on 15 September. The audience of professionals attended to hear about and discuss the changes taking place in the home modifications sector, driven mainly by the rollout of the National Disability Insurance Scheme (NDIS), but also occurring more widely in aged care. The event was an opportunity to showcase good practice in the management and implementation of complex home modifications, and for those present to understand better how to operate within an insurance framework. It was also an opportunity for MOD.A to promote the work it is doing to create a single, industry-wide standard for home modifications, which will be applicable across all funded programmes and include work done for private customers. Having a recognised method of accrediting good practice would enable the industry to take more initiative when reforms are underway. A summary of the proceedings is available at the Architecture and Access website. MODA CEO Michael Bleasdale (3rd from left) with other presenters at the Architecture & Access Forum. Home modification providers and OTs in the outer west regions of NSW came together in Orange for a two-day panel meeting and forum on 20 and 21 September. Hosted by CareWest Day Two featured discussions about the current issues that services are experiencing with the My Aged Care System (MAC), and the Data Exchange (DEX). MOD.A CEO Michael Bleasdale and Charles Gwynn from the NSW Department of Health Aged Care Programmes Branch were present to talk and to answer questions put to them by providers at the meeting. Members voiced their concern that DEX does not provide a report back to services about the hours or dollars which have been spent on client jobs, and this is something that we would like the Department to follow up on. There were more general comments about the current lack of useful data that is likely to be collected about home modifications, similar to that collected for the previous Minimum Data Set, which does not provide a picture of what type of modification is undertaken, where these are, and what they cost. Those present expressed support for better data provision across all funded services, if it delivered a clearer picture of the impact of home modifications, and also included clear reporting of those jobs which were not undertaken due to reasons of cost. There was a good deal of discussion about how providers are meant to undertake modifications for clients in receipt of Home Care Packages (HCP). It was affirmed that all package work is to be done on a full cost-recovery basis, in other words CHSP funds are not to be expended on these jobs. This includes people on packages who require modifications but have fully expended their package funds the expectation is that they would fund these themselves. The CHSP Manual, however, does allow for access to broader CHSP services 'on an emergency or short term basis (such as when a carer is not able to maintain their caring role)'. It is not clear what constitutes an "emergency" in these situations, or who is authorised to make that call, and this is something that we have asked the Department to clarify. A recent update about CHSP was circulated at the meeting, and it was pointed out that HCP holders, who had been assessed as requiring a Level 3 or Level 4 package, but for whom only Level 1 or Level 2 packages were available, are able to access CHSP funding for home modifications. You should only supply additional CHSP services to HCP clients where you have capacity to do so without disadvantaging current CHSP clients. The update which includes the information above can be found here. The forum discussed the problems associated with the current system of packages, and obtaining adequate funding to do the home modifications required. Members were able to put their views across to the Department about the need for a dedicated fund for packages so that people who required ongoing support were not required to make difficult decisions about suspending ongoing services to be able to afford a home modification. A number of questions have been raised with the Department, and both the forum organisers and MOD.A will follow up for the answers in coming weeks, which we will be able to share with MOD.A members. The Department of Health has provided a short window of time for response to the National Aged Care Advocacy Framework, and MOD.A will be putting in a brief submission prior to the closing date of Friday 7 October. The report of the review of advocacy services was produced in December 2015, and the current consultation is about the application of its recommendations to a new advocacy framework for those older people who access aged care. Assisting clients to navigate the complexity of some home modifications and resolve difficulties which may arise will require close interaction between those who may be advocating for them and the services who are contracted to deliver the home modifications and that other considerations, such as licenses, insurances and permits come into play which lie outside the jurisdiction of traditional funding bodies. Some distinction needs to be made between a function which assists people to navigate the system and get what they need, and a function which assists people to sort out difficulties and make complaints and that the framework needs to support and clearly distinguish between both. The framework only exists to support older people who are in (or seeking to enter) aged care, and, arguably, home modifications are an early intervention that could be applied to prevent any further (immediate) interaction with the aged care sector. If future reform separates home modifications into a separate funding program, away from packages, there is a risk that these may not be considered as "aged care", but people accessing them may still require assistance in the form of individual advocacy if they get into difficulties. If members would like to provide their input into the submission, please forward comments to Michael via email by COB Tuesday 4 October. Businesses and not-for-profit organisations that sell to or supply consumers with disability, including participants of the National Disability Insurance Scheme (NDIS), are bound by the same fair trading law that applies to all trade and commerce in Australia. This law is called the Australian Consumer Law and it is important that businesses understand their rights and obligations at all times when dealing with customers, wholesalers, suppliers and other businesses. The Australian Competition and Consumer Commission (ACCC) together with the state consumer protection agencies, has produced an online guide for businesses and not-for-profit organisations that supply goods or services to consumers with disability (including NDIS participants and their support providers). The guide is available online here. Since 2010 the Australian Consumer Law (ACL) has prohibited businesses from including "unfair" contract terms in standard form contracts offered to consumers. Essentially the laws were introduced to protect consumers from one-sided provisions used in the "take it, or leave it" documentation associated with mobile phone services, car rentals and gym memberships. From 12 November 2016 these laws will also apply to contracts offered to small business. More information about unfair contract terms and what types of contracts may be affected is available from this Housing Industry Association Information Sheet. The Attendant Care Industry Association (ACiA) held its annual conference on 15 and 16 September 2016, at which speakers from the National Disability Insurance Agency (NDIA) talked about the quality and safeguards framework which will be implemented across the NDIS shortly. Details of this framework are still not publicly available, as they are still requiring ratification form COAG, but it is expected that all sectors which engage with the NDIA will be informed about these requirements either late 2016 or early 2017. MOD.A understands that the new framework will establish a common set of minimum requirements that all providers will need to meet, but will allow for specific specialisations, such as home modifications, to "add on" their own industry or professional quality standards. This approach would be compatible with the work MOD.A is currently doing to create and implement a set of quality standards for home modifications. Until the new framework is implemented providers are required to comply with the standards frameworks relevant to working with people with disability in the states and territories in which they operate. In the meantime, MOD.A continues to develop the home modifications quality standard, and is in discussion with a number of government departments whose support we require to bring it to the next stage. Home modification providers that are members of the Housing Industry Association (HIA) can take advantage of a 1-year free membership for new subscribers to the hipages website, an online marketplace for the home services industry, until 30 November 2016. This represents an opportunity for providers to diversify their business by accessing alternative markets. If you are interested, click here for more information and to register. 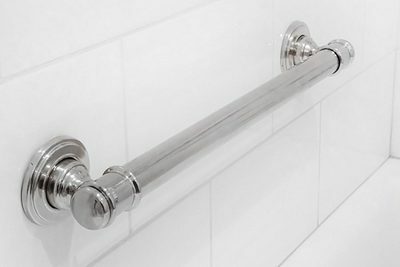 Availcare have created a brand new range of stylish grab rails that complement modern bathroom décor and assist with stability and movement around the bathroom. 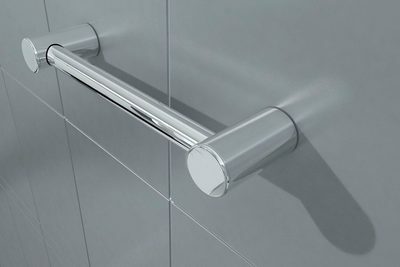 Their new grab rail designs 'Calibre' and 'Glance' are engineered to exceed the standard with a 150kg rating and the top quality finishes and high grade long lasting materials ensure rails complement the latest bathroom styles. Installation is quick and easy with the ability to modify the rail length on site to suit existing wall studs. Availcare's new range of rails are approved to the AS1428.1-2009 standard 'design for access and mobility grab rails' and were tested in a NATA certified test facility. Approval to this standard ensures they are suitable for both private homes as well as public buildings. Visit their website to review products or email to request a brochure and price-list. Availcare's stylish new grab rails. 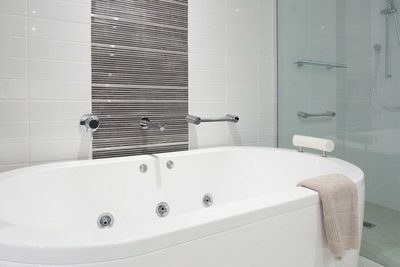 From left: Caibre rail; Glance rail; Calibre rails bath/shower installation. Do you know of any new or innovative products or suppliers that the home modification sector should know about? Send us an email with relevant information and contact details so that we can include in future editions of the newsletter. If you are interested in attending the Forum and/or AGM please advise by return email by COB Monday 10 October 2016. In response to a specific request MOD.A has developed a 1-day training course for MS Visio 2013 to aid and assist occupational therapists in the design and reporting of recommended modifications. The first presentation of this course occurred recently in Canberra and was very successful. MOD.A is pleased to announce that this training opportunity is now available to any service that is interested in running a similar workshop for the OTs in their area. To register your interest send us an email that indicates preferred dates and potential numbers of participants. We are close to finalising the venue and dates for our next National Conference in Sydney in August 2017. More details will be available in next months newsletter. Housing Industry Association (HIA) Summit 2016. Hilton Hotel, Sydney, 26 October 2016. The Sydney Home Show. Sydney Showground, Sydney Olympic Park, 28-30 October 2016. 2016 AAG Conference - Capitalising on the Ageing Dividend: Re-imagining our Future. Canberra, 2-4 November 2016. MOD.A AGM and Industry Forum. Preparing your service for the NDIS and future reforms. Sydney, 25 November 2016. MOD.A National Conference. Sydney. August 2017.